After a rather long break in activity due to extenuating circumstances, I am very happy to announce that I am up and running again! The purpose of this website will, once again be to impart my own impartial views on several subjects. They will often centre on my love of Alpine plants and the increased opportunities to ply my craft, here at NTS Branklyn Garden in Perth. Jim Jermyn is currently the Property Manager/Head Gardener for NTS Branklyn Garden, Perth. He specialises in Alpine and Woodland plants with an interest in the Genus Meconopsis. For 20 years (from 1978) he was proprietor of Edrom Nurseries, in Berwickshire. Jim lectures widely in the UK, Europe, Canada and the USA. He has written three books, The Himalayan Garden, Growing Plants from the Roof of the World, Alpine Plants of Europe – A Gardener’s Guide and Mountain Walks in Eastern Europe. Jim lives in Perth with his wife Alison. 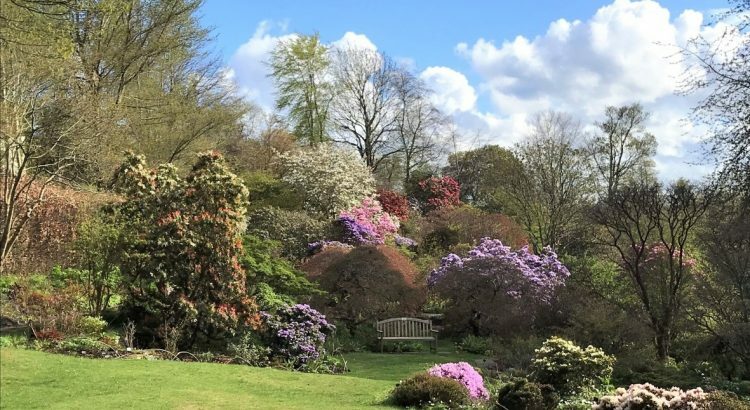 He is currently Chairman of The Meconopsis Group, serves as a Trustee on The Merlin Trust is an honorary member of The RHS Joint Rock Garden Committee and a council member of The Royal Caledonian Horticultural Society (The Caley). His interests run to growing a wide range of Snowdrops as well as many Himalayan Primula and related species. Now that he has family living in Catalonia he is exploring the Spanish Pyrenees and has recently introduced a new species of primula (P. subpyrenaica) into cultivation. He enjoys fine wine, Real Ale, Classical Music, Cricket and supports Newcastle United F.C!